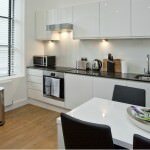 Set in a beautifully restored warehouse, the Native Shoreditch serviced apartments are located just a short 10 minute walk from Liverpool Street Station providing access to Central, Circle, Hammersmith & City and Metropolitan lines with routes crossing all of Central London; as well as major rail lines. Local buses also run a regular service in multiple directions, putting the rest of the Capital within easy reach. The contemporary and executive style accommodation is perfectly set against a trendy city backdrop of great bars and buzzing venues close by. Take a walk down the Shoreditch high street to uncover all sorts of gems, including the Cereal Killer Cafe. This is a sought after area with a reputation for being at the forefront of creativity and modernity. 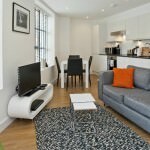 When booking a stay at the Native Shoreditch apartments, choose one bedroom accommodation for 2 guests or two bedroom for 4 guests – great options for the single traveller as well as those visiting with a family. 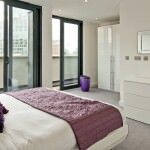 For more space, there are premium options for both the one and two bedroom apartments, allowing guests to unwind or entertain in their residence. 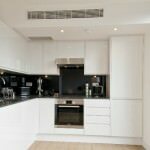 Every flat has a fitted kitchen including microwave and fridge freezer, allowing guests to cater for themselves should they wish to do so. Other amenities include Wi-Fi, cable or satellite television and DVD player, so whether guests are staying in or going out, there is plenty to keep them entertained. 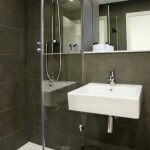 Weekly housekeeping is available for complete convenience and there is lift access in the building.